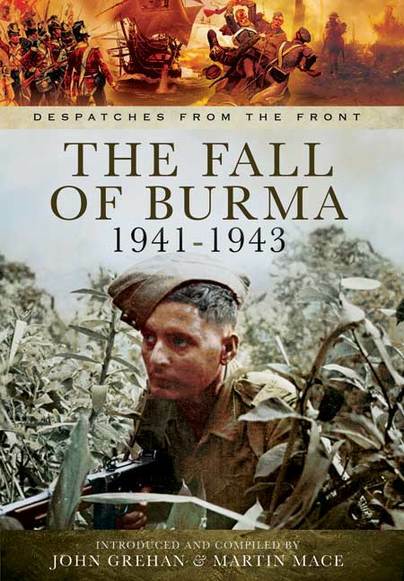 You'll be £19.99 closer to your next £10.00 credit when you purchase The Fall of Burma 1941-1943. What's this? Order within the next 2 hours, 43 minutes to get your order processed the next working day! Despatches in this volume include that on operations in Burma between 15 December 1941 and 20 May 1942 by General Wavell; Operations in Eastern Theatre, based on India, March 1942 to 31 December 1942 by Field-Marshall Wavell; Operations in the Indo-Burma Theatre 21 June to 15 November 1942 by Field-Marshall Auchinleck; and Operations in the India Command 1 January to 20 June 1943 by Field-Marshall Wavell. Burma was considered to something of a backwater and its defence was in the hands of just two British infantry battalions, a few local troops and a small air force. When the Japanese launched their offensive on 7th December 1941 by occupying Thailand, Burma was suddenly on the front line. General Wavell, C-in-C India, was given responsibility for the defence of Burma asked for urgent reinforcements, but it was already too late. The Japanese crossed the Burmese border on 19th/20th January 1942; heavily defeating the British and Commonwealth forces at the battles of Sittang Bridge and Pegu, leaving the road to Rangoon open. General Alexander was placed in command, but could not stem the tide and his forces retreated into India, preparing to defend that country. Plans to reconquer Burma were being made however, with reinforcements eventually arriving, preparing the scene for the successes of 1944 and 1945. The story here is told through the official despatches of Generals Wavell, Alexander, Hutton and Field Marshal Auchinleck. It is thought that this is the first time these original despatches have been brought together in a single volume.